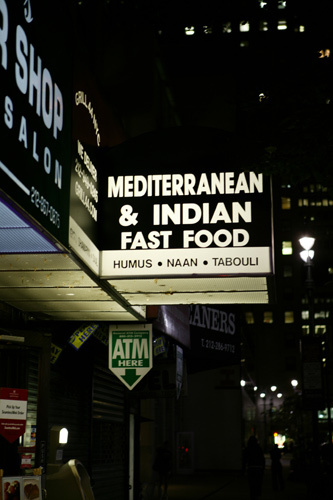 I’m starting to collect photos of NYC restaurants that offer unlikely combinations of cuisines. Where else can you get humus, naan and tabouli at the same time? What’s the weirdest combination that you’ve seen?